The "World Three Poles" Animal Genomes Project is a genomic level study of three species of penguins, polar bears and Tibetan antelopes grown in the harsh environments of the Antarctic, Arctic and high altitude. The “World Three Poles” Animal Genomes Project launched on April 24, 2009 in Shenzhen, is a genomic level study of three species of penguins, polar bears and Tibetan antelopes grown in the harsh environments of the Antarctic, Arctic and high altitude. The project was initiated by Shenzhen BGI Life Science Research Institute (formerly “BGI Shenzhen”), together with Illumina Company, Dalian Laohutan Ocean Park Research Center, Qinghai University, Institute of Oceanology of Chinese Academy of Sciences and China Polar Research Center. The program is another major research project in the life sciences field initiated by Chinese scientists following the International Giant Panda Genome Project. Penguins, polar bears and Tibetan antelopes have different characteristics and research values. Penguins living in the Antarctic have experienced many warmings on the earth, but they have never undergone large-scale migration, and the rate of species evolution is slower than other species. 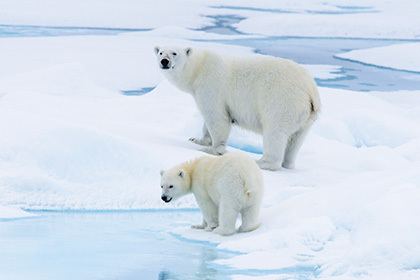 Polar bears can withstand extremely cold environments, but is very sensitive with temperature changes and air pollution. It is an important reference for human beings to understand the Arctic and global climate change. The Tibetan antelope is a unique species in the Qinghai-Tibet Plateau of China. It has special abilities such as anti-hypoxia, high cold tolerance and running. So far, these extreme-environment animals genome studies have been blank. The program will use the next-generation sequencing technology to complete the construction of these animals whole genome sequence maps, and further carry out genome level analysis such as gene annotation, species evolution, etc. It will provide a foundation for in-depth research on extreme climate adaptation, evolution, diversity conservation and climate change.